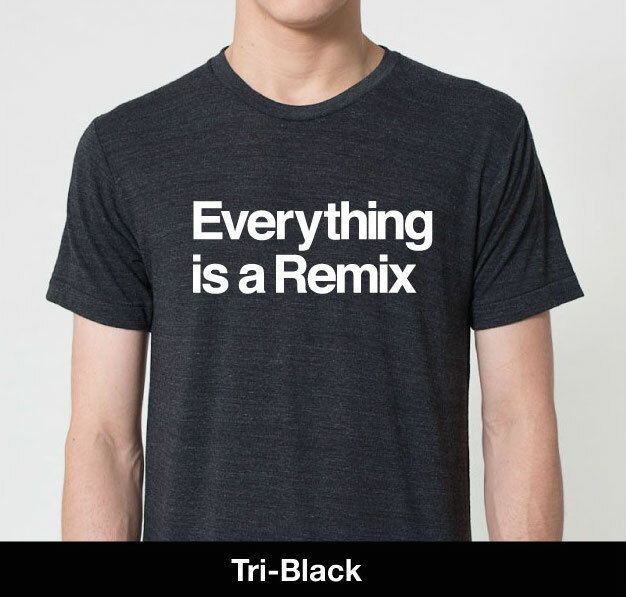 The original, beloved "Everything is a Remix" t-shirt, which features the iconic type branding used throughout the original videos. Printed on the Tri-Black Next Level Tri-Blend Short Sleeve Track Shirt. Available in unisex sizes. US orders take 1-2 weeks for delivery. International orders can take up to 2 months for delivery. Printed on the Turquoise Next Level Tri-Blend Short Sleeve Track Shirt. Available in unisex sizes. Same shirt as above, but in black. 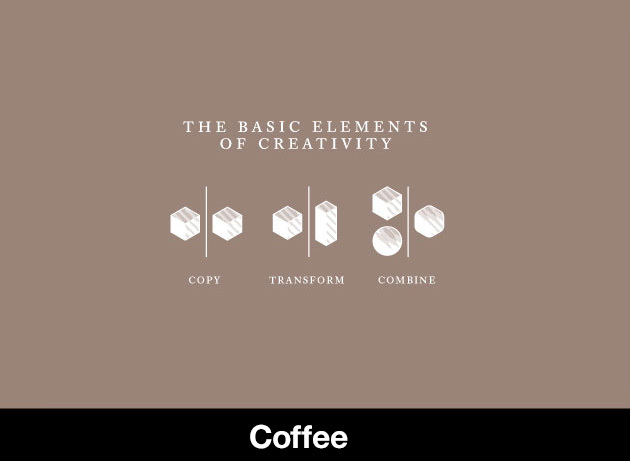 Remix's central tenet, "Copy Transform Combine," presented in a gorgeous 24x36 screen printed poster. 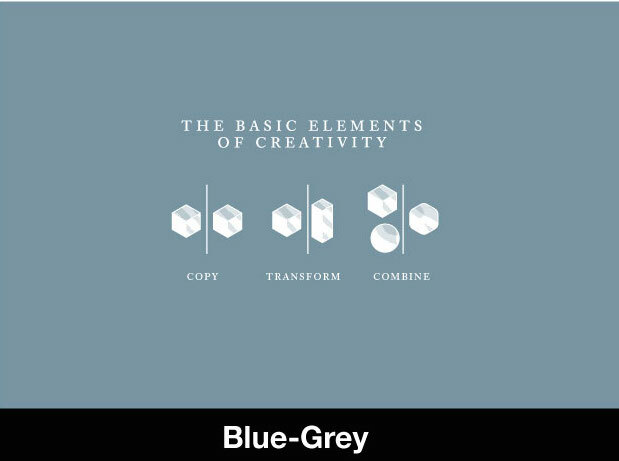 Available in Coffee, Blue-Grey, and Dark Blue. Should fit nicely in any home or office environment. Great for laptops, tablets and pretty much anything! International orders can take up to 4 weeks for delivery. My new series This is Not a Conspiracy Theory, a feature-length documentary released in episodes that aims to illuminate viewers about how systems – not powerful individuals – shape the future. The influential London paper The Guardian has called it “spectacularly ambitious.” Watch Episode One here. Make your series purchase now to get access to episodes as they are completed, as well as notifications when new behind-the-scenes videos are released. Each series purchase helps support future installments of This is Not a Conspiracy Theory. *Please note, all imagery are composites, not the actual products. International backers are responsible for paying all customs duties and/or taxes placed on your package. The best summary we've ever seen of what to expect can be found on the FAQ section of Cotton Bureau. We cannot issue refunds for items returned to us because the buyer didn't pay their duties and/or taxes. If there’s something wrong with your shipment (wrong size, wrong item, defective product, etc. ), just contact us. We'll send you the corrected item along with pre-paid postage for your return. If we no longer have an item in stock we'll issue a refund (an unlikely occurrence, but can happen especially with the less in demand sizes). We are not responsible for missed deliveries. If an item is returned to us, we will contact you to collect new shipping funds. Once funds are received we can reship your order.